reading skills – Teach. Empower. Transform. For nearly 20 years, FLOC has had an invaluable partnership with George Washington University’s DC Reads program, a program of the Honey W. Nashman Center for Civic Engagement and Public Service. Through this partnership, GW students (both volunteers and federal work study employees) are placed as tutors in nonprofits like FLOC. This year, more than 30 GW DC Reads tutors are placed at FLOC. Tom Guettler and Jess Williams are serving this year as team leaders for FLOC through the DC Reads program, and they both tutor reading at FLOC during the week. 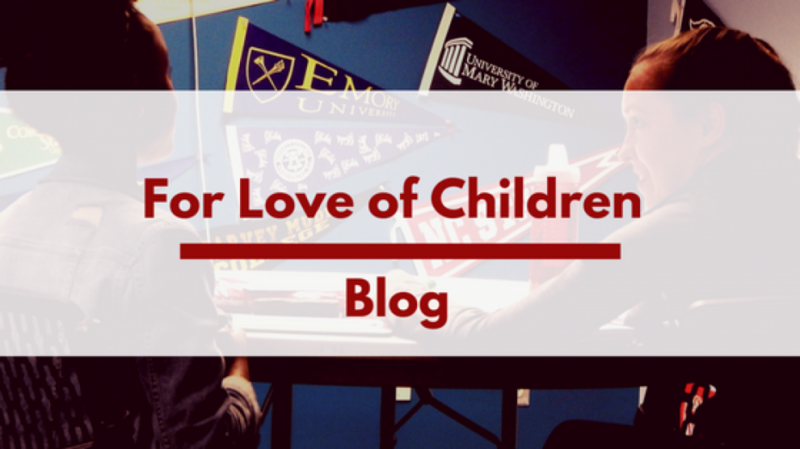 How did you first become involved with For Love of Children? Tom: I first heard about FLOC through Community Building Community, which is a pre-orientation program for freshman at GW. FLOC sounded like a great way to get involved in the DC community, and some of the guides had great things to say about DC reads as a whole! Jess: I was looking for a way to get involved in community service when I came to GW, and some friends told me about DC Reads! From there, I chose to work with FLOC, because I was shocked that a city as educated as Washington, DC still has such a high illiteracy rate among children. What does being a DC Reads Team Leader entail? What do you enjoy about it? Tom: Generally speaking, we help promote FLOC and generate student interest. Jess and I are also here to be a resource for the GW students who work at FLOC. We help students with their federal work-study arrangements, rescheduling trainings, and facilitate contacting the FLOC office. Jess: I really enjoy being a resource for students, and having people come to me for help! As coordinators, we also host events within the GW FLOC community. We’ll have movie nights where we share food and watch an educational film, and recently we had a reflection event. Students brought food, and we spent the afternoon discussing out tutoring experiences and sharing stories. Speaking of reflection, do you have a favorite FLOC memory? Tom: Last winter, my schedule changed and I wasn’t going to be able to tutor the same student anymore. After I had told both my student and site-coordinator, I ended up changing classes, and was able to return on the same day the following semester. My student was expecting to have a new tutor, and he was excited when I showed up! The coordinator had not told him I was returning, and it meant a lot to know that he cared about having me as a tutor, specifically. Jess: My story is similar! Last year, I was explaining to my student that I had to go home for summer break. She became a little upset, and repeatedly said she would miss me, asking why I had to leave. I hadn’t realized how close we had become in such a short amount of time, but it meant a lot that she cared whether or not I was there. 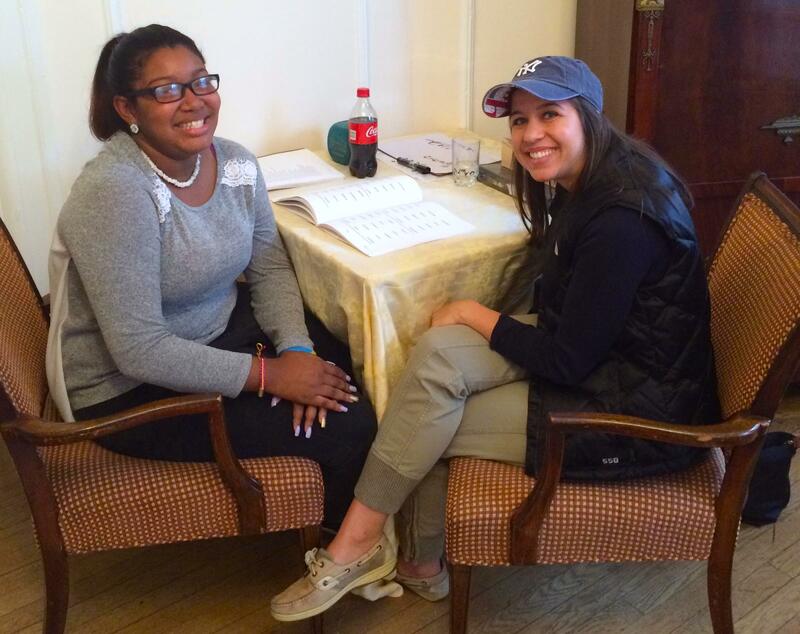 Imagine you have sixty seconds to convince someone to tutor with FLOC. What do you say? Tom: Do it! Tutoring with FLOC has changed the preconceived notions I had about non-profits–FLOC is well-organized, easy to work with, and makes a tangible impact. Tutoring is a wonderful way to give back to the community, and you grow as a person as well. Jess: Tutoring with FLOC is an excellent way to get out of the “Foggy Bottom bubble,” that you so often hear about here. There is so much more to DC than our neighborhood, and I’m proud to say that I’m invested here. I feel as though I’ve become a citizen of DC, not just a student. Miriam Bishop serves as a tutor with the FLOC Neighborhood Tutoring Program. In this role, she tutors a student named Alex on Tuesday evenings in reading. She has been a tutor at FLOC since March of 2011. Miriam loves the documented success rates and hearing what a difference FLOC has made in students’ lives. Miriam is an attorney with Willkie Farr & Gallagher (WF&G). FLOC has been a principal grantee of the WF&G Foundation for many years. Miriam first heard about FLOC through the WF&G Foundation newsletter that is circulated within the firm. Miriam went to the FLOC annual fund-raising luncheon that year and was very impressed by the presentation and the work that FLOC does. After attending the luncheon, she began to explore ways to volunteer. This year Miriam worked with a 4th grade student named Alex. Alex is very intelligent, very active, and very energetic. Alex brings a lot of enthusiasm with him to tutoring, though he sometimes has difficulty staying focused and on task. Miriam works on several things with Alex, including vocabulary, reading and sight words. Miriam loves to see that children are really learning. She particularly enjoys that look of happiness that comes over their faces when they suddenly “get” a new idea or concept. Miriam has participated in various FLOC activities held at WF&G’s offices. She has also been to graduation parties and the Outdoor Education Center. In addition to her work as an attorney and her time at FLOC, Miriam is an avid garden. She had flower gardens, vegetable gardens, fruit trees and bushes, and indoor plants, such as orchids, Christmas cacti, and ferns. Thanks, Miriam, for your years of service to For Love of Children! Jasmin and her tutor Ashley Oakes have been breaking records in our WNDC testing room this year! Jasmin is a student in our WNDC – Tuesday night reading program and in the Scholars program. She has passed many tests in the Wilson curriculum and has added new words to her vocabulary such as frolic, compliance, occurrence, and more. Jasmin began this year in Unit 2, Lesson 1 in the Wilson curriculum and will end at the beginning of Unit 4, Lesson 1. She has shown a lot of dedication to improving her reading skills and works very well with her tutor. This is Jasmin’s fourth year with FLOC, and she says it has been the best one yet. Ashley has also enjoyed her time at FLOC and credits a former colleague for recommending the program to her. As the oldest sibling from a large family, Ashley often draws from experiences of tutoring/mentoring her siblings while working with Jasmin. They both are excited to return to FLOC next year and continue to work together! FLOC’s 8th Annual Book Festival: For Love of Reading! 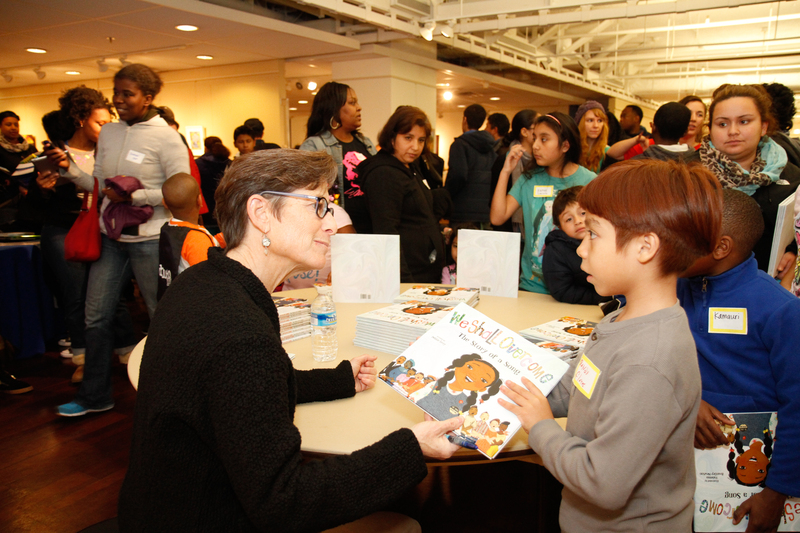 On Saturday, November 17, FLOC celebrated its annual Book Festival with over 150 students and their families gathering at the Pepco Edison Place Gallery. The evening was highlighted by our guest author, Debbie Levy, who shared her inspiration for the book We Shall Overcome: The Story of a Song, a story of the racial history in America. She guided the students through an interactive presentation, reading excerpts from her book, sharing historical events in the civil rights movement, and even including a few musical interludes! Each student was able to collect up to 15 books to take home and expand their reading collection. The book festival offered books for our youngest students in Kindergarten all the way up to books about college for our high school students. The night also featured guest appearance from PBS’s Arthur. The younger students especially were overjoyed to see one of their favorite TV and book characters at FLOC’s Book Festival. Inspired by We Shall Overcome, the students also did an activity focused on community action. In this activity, students were prompted to make a personal pledge that would address some aspect of change in their community, school, or personal life. The book festival offered an opportunity for FLOC students to come and share an evening focused on improving literacy. Every student left with a smile on their face and a handful of books that will promote their interest in reading and academic success. The over 1,500 books that went home with FLOC students were generously donated by Sedgwick, LLP, M&T Bank, SIGAL Construction Companies, Raffa, P.C., Carnegie Endowment for International Peace, KEYS for the Homeless, and Geppetto Catering (who also provided delicious refreshments!) 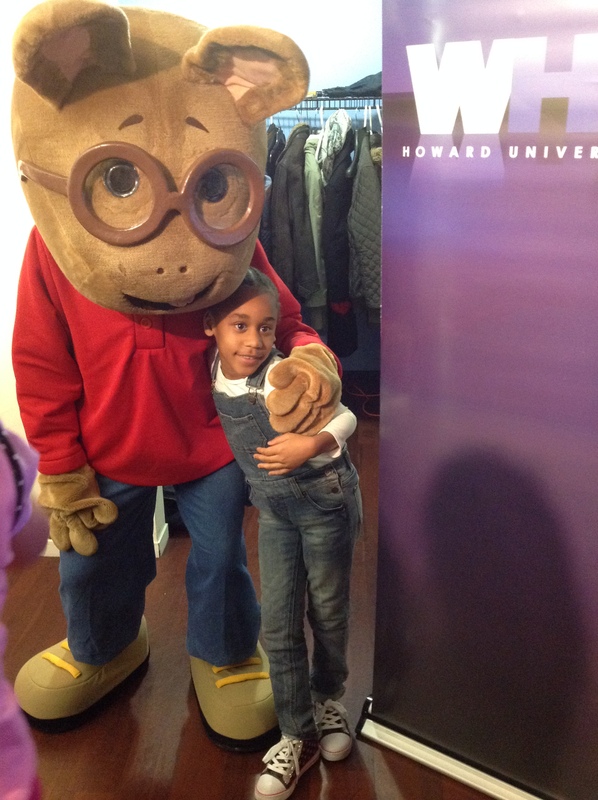 A huge thank you to WHUT – Howard University Public Television for bringing everyone’s favorite aardvark, Arthur! They also provided backpacks for students to take their books home. We are grateful for all those who helped out with and attended this year’s book festival and look forward to continuing this event for years to come. Ask an adult what they want to be when they grow up. Odds are, they’ll stumble through an answer. Ask Nenis, a sixth grader in the Tuesday Night Reading program, and you’ll hear here confidently say “Journalist.” This newfound passion and interest for journalism is a result of her tutor’s ability to connect her work as a journalist with FLOC’s reading curriculum. Janet, her tutor, works in journalism and has found several creative and engaging ways to share her expertise with Nenis, all while helping her practice vital reading skills. After she reads a non-fiction text, Nenis will carefully synthesize what she’s read into a script. Then, she presents the news in her best newscaster voice. She’s charming and informative. Her scripts are witty, and she’s hard at work finding her signature sign-off. This certainly isn’t the last you’ll be hearing from Nenis. For now, we’ll leave you with this report, recently recorded at the FLOC offices. (Cody Laminack is the NTP Program Manager at FLOC).